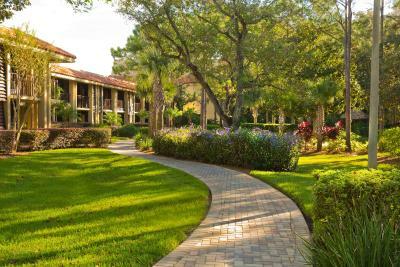 Lock in a great price for DoubleTree by Hilton Orlando at SeaWorld – rated 8 by recent guests! The property was lovely, beautiful landscaping. The room was large and comfortable. The pools and all the activities for kids is amazing. Great price! Great location! Friendly Staff! Everything you need when traveling with no unexpected surprises. DoubleTree by Hilton Orlando at SeaWorld This rating is a reflection of how the property compares to the industry standard when it comes to price, facilities and services available. It's based on a self-evaluation by the property. Use this rating to help choose your stay! 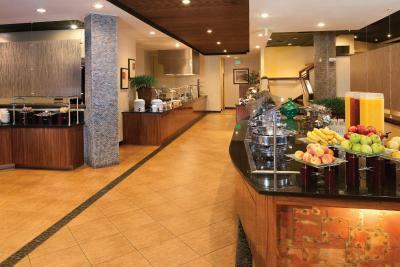 Featuring free WiFi throughout the property, DoubleTree by Hilton Orlando at SeaWorld offers accommodations in Orlando. 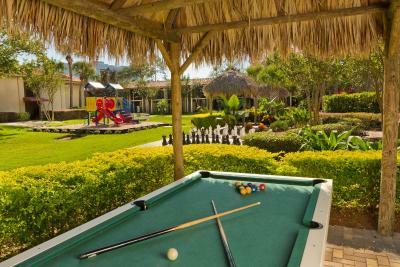 The resort has a year-round outdoor pool and hot tub, and guests can enjoy a drink at the bar. Private parking is available on site. The Orange County Convention Center is an 8 minutes' drive away. Each room at this resort is air conditioned and is equipped with a flat-screen TV with cable channels. Some units feature a sitting area for your convenience. The rooms include a private bathroom. 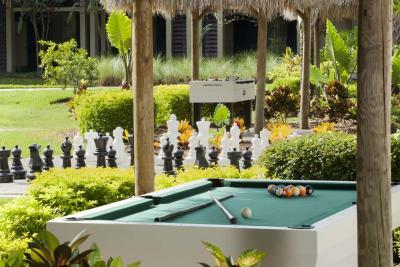 You can play ping-pong and mini-golf at the resort. Ripley's Believe it or Not! is 2.1 miles away. The nearest airport is Orlando International Airport, 9 miles from the property. 뀐 Located in the top-rated area in Orlando, this property has an excellent location score of 8.3! When would you like to stay at DoubleTree by Hilton Orlando at SeaWorld? Features a mini-refrigerator, microwave and wet bar. Public parking is available on site (reservation is not needed) and costs USD 18.11 per day. Room features a 32-inch flat screen TV and a clock radio with iPod docking station. This room features a flat-screen TV, a separate vanity area, and iPod docking station. Room includes views of the courtyard or pool. This room type has a clothing armoire, and features a separate mini-fridge/microwave. Includes a vanity area that can be separated from the living room. This room type has a 32-inch flat-screen TV and premium clock radio. This room includes a flat-screen TV, iPod docking station, and tea and coffee-making facilities. This room is in the 17-story main tower and includes a flat-screen TV, iPod docking station, and tea and coffee-making facilities. This accessible room includes a flat-screen TV, an iPod docking station, and tea and coffee-making facilities. This double room features a iPod dock, sofa and seating area. This two-room suite includes a private bathroom. This king room includes provides disability access and a roll-in shower. House Rules DoubleTree by Hilton Orlando at SeaWorld takes special requests – add in the next step! DoubleTree by Hilton Orlando at SeaWorld accepts these cards and reserves the right to temporarily hold an amount prior to arrival. The hotel maids. Outstanding. Awesome. Top management. Excellent. Security. Professional. Bar staff. Great. Maintenance. Excellent. Ok very old, needs maintenance done, not enough parking. It's not your fault that people were loud in the hallways so we heard people laughing and slamming of doors till late at night but, that's the only complain. From check in to check out everything was great! Loved the breakfast options and the food was delicious. Erick and Tahar from the breakfast team were magnificent and very attentive! Service from them was great! Loved the cookies from reception!! Kudos to your whole staff. Everyone we came across was polite and helpful. Pool was great! Kudos to Kennedi at reception and Julio at the luggage drop off desk. Thanks! You guys made our stay WONDERFUL. DEFINITELY will stay here again. We were given 2 queens checking in very late, we could see in the windows of many empty rooms with kings. Loudest leaf blower I’ve ever heard right up against our door at 8am. My husband is sick and never gets to sleep in. Very annoying!!!! Room had a nice kitchen, but no utensils or glasses. Bathroom was super small.